A boys soccer team which spent 17 days trapped in a cave in Thailand recently appeared on the “The Ellen Show” to talk about how they survived the ordeal. Head coach Ekapol “Aek” Chantawong and the 12 boys from the Wild Boars soccer team were interviewed by host Ellen DeGeneres via a translator about their ordeal. 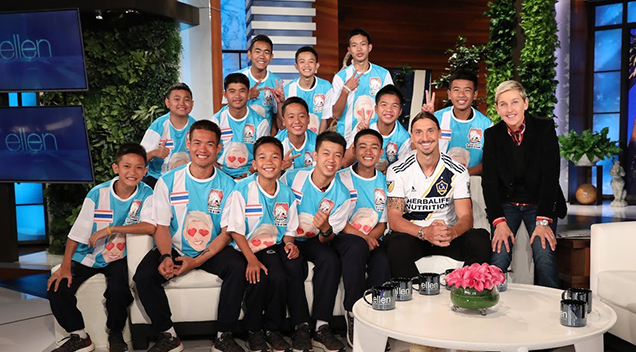 Towards the end of the segment, DeGeneres surprised the team with a visit from LA Galaxy’s Zlatan Ibrahimović, one of the boys’ fave soccer players. Their reactions were priceless.